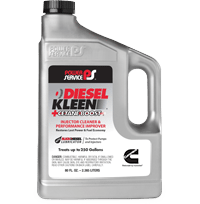 Currently only Power Service Diesel Kleen and Diesel Fuel Supplement are endorsed by Cummins. 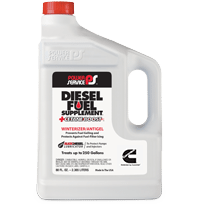 While the other Power Service diesel additives are not specifically endorsed by Cummins, they are safe and effective for use in all diesel engines. In fact, Cummins dealers have access to and can sell the entire line of Power Service diesel additives. The Arctic Formula of Diesel Fuel Supplement +Cetane Boost prevents fuel gelling and protects against fuel-filter icing. 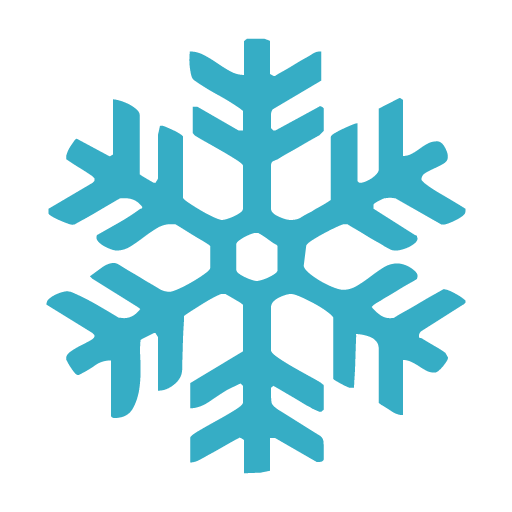 The Winter Rescue Formula of Diesel 911 is used when gelling or icing has already occurred and the engine won’t start. Use Diesel 911 to get your engine running and then add Diesel Fuel Supplement +Cetane to prevent future gelling. If you have any questions, please contact Power Services today! 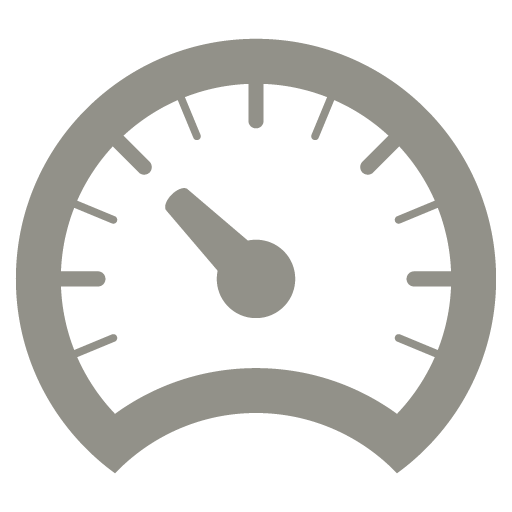 How often should I use Power Service diesel additives? If temperatures are above 30°F, add Diesel Kleen +Cetane Boost (silver bottle) for maximum performance. This Max HP Formula is loaded with cetane, detergent and lubricity improver to provide peak diesel performance. If temperatures are below 30°F, add Diesel Fuel Supplement +Cetane Boost (white bottle) for winter operability. This Arctic Formula will prevent fuel gelling and protect against fuel-filter icing. 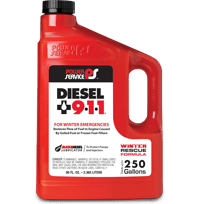 Use Diesel 911 to reliquefy gelled fuel and de-ice frozen fuel-filters if your vehicle will not start or gain power in cold weather. Add Clear-Diesel Fuel & Tank Cleaner to remove water, disperse contaminants and stabilize fuel for long-term storage. Can I use your products in gasoline? No, our products are not to be used in gasoline. Our sole focus is on additive technology for diesel fuel and diesel engines. 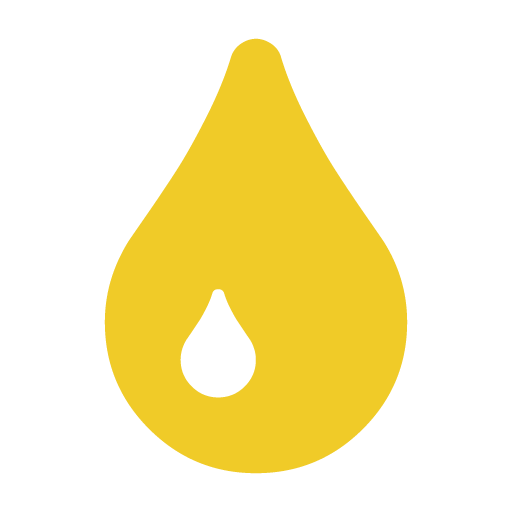 Does biodiesel contain higher amounts of water than regular diesel fuel? Biodiesel can contain up to 10 times more water than standard petroleum diesel fuel. This excess water can end up in your fuel tank and result in numerous problems, including accelerated fuel-filter plugging, microbial contamination and icing problems in winter. 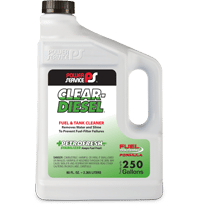 Power Service recommends treating with Clear-Diesel Fuel & Tank Cleaner at least quarterly, or as needed, to remove water. Clear-Diesel also disperses contaminants and stabilizes fuel during long-term storage. 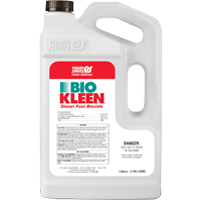 Is Bio Kleen available for purchase outside of the US? Unfortunately, Bio Kleen is a pesticide that is only registered in the US. It is not available outside of the US. Slickdiesel Lubricator is a proprietary Power Service diesel fuel lubricity additive that is added to many of our products to increase the lubrication properties of diesel fuel. This increase in lubricity will increase the life of fuel pumps and injectors. The fuel pump manufacturers (Bosch, Delphi, Denso, Siemens and Stanadyne) consider fuel lubricity to be the most crucial property of diesel fuel as it relates to reduction of pump and injector wear. The Engine Manufacturer Association (EMA) has stated that, “Shortened life of engine components such as fuel injection pumps and unit injectors usually can be ascribed to a lack of fuel lubricity and hence is a concern to engine manufacturers.” Slickdiesel Lubricator meets the new ASTM HFRR 520 Lubricity Specifications for the United States and the more stringent European Specification of 460 in most fuels.